FRANK MORSANI has made a lasting mark throughout Florida and the nation as a philanthropist, businessman and community leader whose achievements have resonated for decades. 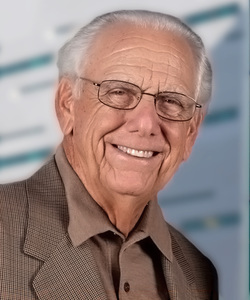 A past chairman of the Board of the U.S. Chamber of Commerce, Frank ‘s management skills made him a vital voice for small business with the administrations of Presidents Jimmy Carter, Ronald Reagan and George H.W. Bush. A Korean War veteran and retired chairman of Automotive Investments Inc., Frank, with his wife Carol, have been dedicated supporters of their alma mater, Oklahoma State University, as well as the University of South Florida and the University of Tampa. Their committed support of medical, cultural and artistic efforts continue to enrich many lives, both locally and across the state they call home. The Morsanis have two married daughters, Leann Rowe and Suzanne Anderson, and two grandchildren. 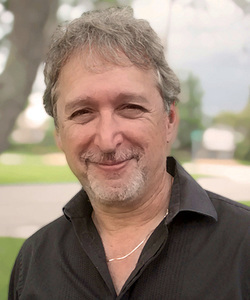 DAVE SCHEIBER, a national award-winning journalist and author of the books Covert, Surviving the Shadows and Position to Win, served as a member of a St. Petersburg Times investigative team nominated for the Pulitzer Prize, and is a past winner for investigative reporting and feature writing in the Associated Press Sports Editors competition. His work has appeared in a wide variety of publications—from cover stories in Sports Illustrated to The Washington Post to Fox Sports. Dave earned a Mark of Excellence Award from the Florida Hospital Association for his work at All Children’s Hospital Johns Hopkins Medicine, where he specialized in telling the human stories of both patients and those who care for them. An accomplished guitarist, Dave and his wife, Janie—parents of six children—perform with the Ocean Road Band, a popular classic rock band in the Tampa Bay area.